HomeAncient / AliensVIDEO: Mysterious balls, falling out of the sky from where they come from? 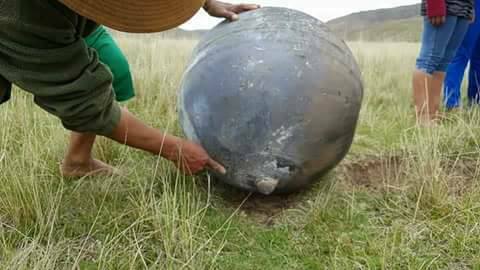 This fireball was seen in the Peruvian sky fell in the community of Laurancahuani, province of Azángaro in Puno. When approaching the place, the witnesses said that they felt a smell of electrode welding or electric welding, when performing movement a common sound of gas balloon was heard. 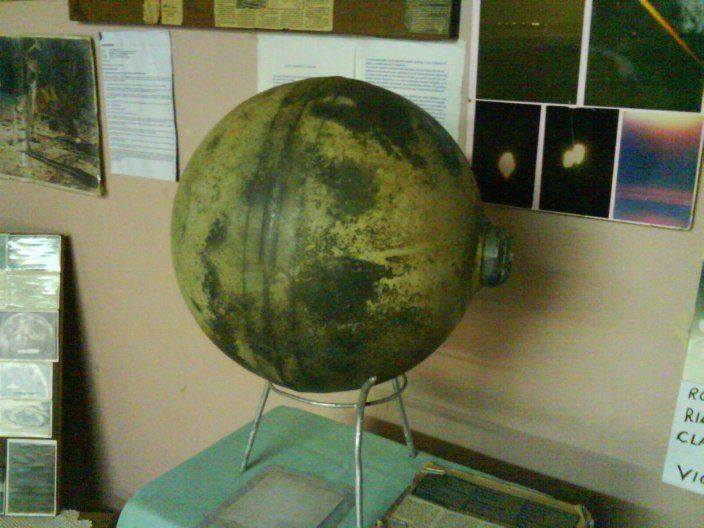 The sphere has a weight of 40 kilos approximately, its circumference is 2 meters and it has 1 meter height with 5 centimeters. 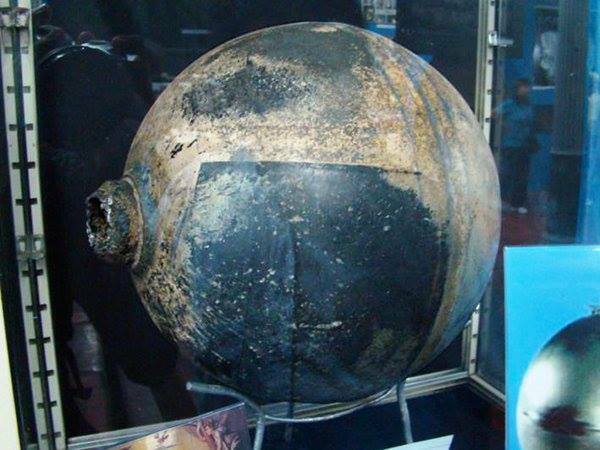 The depth of the impact is 30 centimeters deep and a diameter of 29 centimeters.